Harley top end overhaul is a lengthy procedure on your Twin Cam motor. Follow our technician’s instructions and refer to your service manual. You will see that a lengthy job does not necessarily make it a difficult job. By taking your time, focusing, working clean and orderly, you will find yourself moving right through this detailed repair or upgrade. 148 minutes. 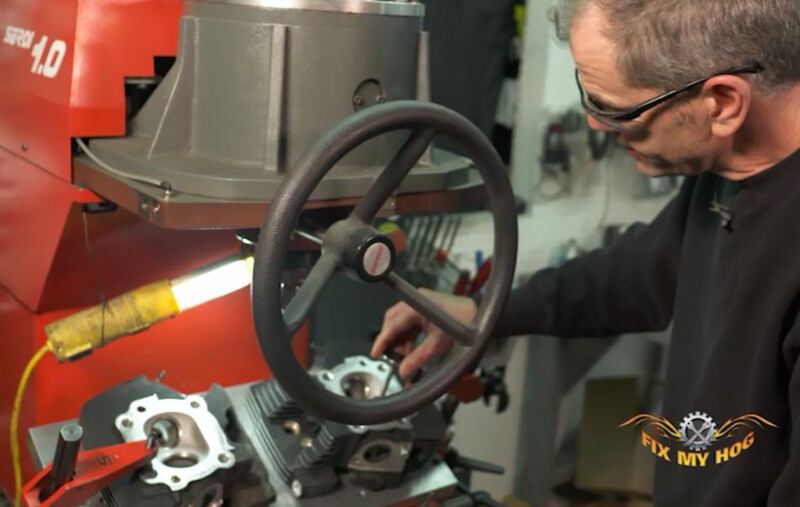 You might not have a Serdi machine in your garage so you will need to have a reputable shop do a Harley valve job for you. 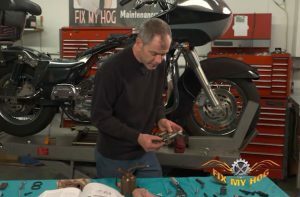 We’ll review the Serdi and the specialty tools involved when doing a proper Harley valve job. 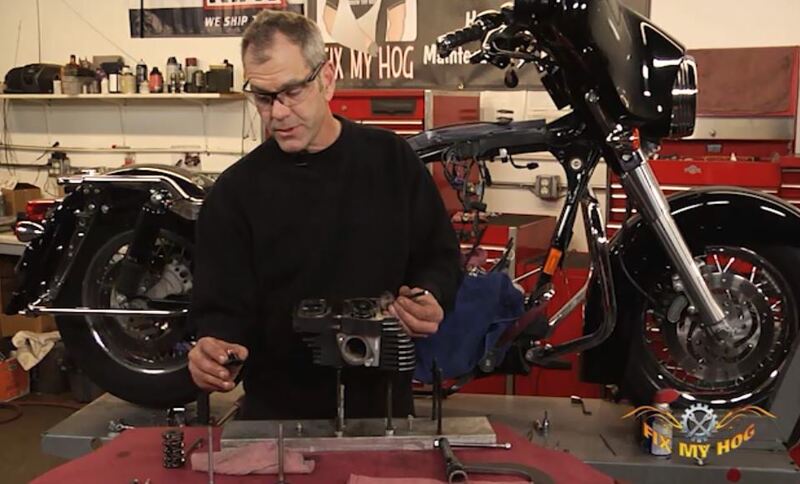 We have everything laid out on the bench to put the Harley cylinder and top end back in place for this Twin Cam. We took it apart for some upgrades and a valve job and now with the proper parts and tools we’ll show you how to put it back together. The Harley cylinders are in place and we show you how to put the lower Harley rocker box on. 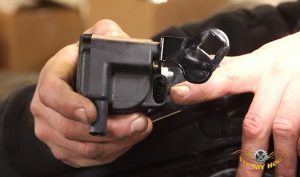 We’ll review that the gaskets are labeled front and rear and we’ll remove the old o-ring. We show how to prep your bolts with some blue Loctite and put them in the correct allocation. 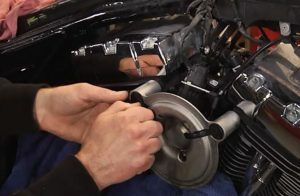 We install the Harley rocker box cover gasket in the correct location. Mike shows us you will need a little blue Loctite on the cover bolts to help keep them in place. 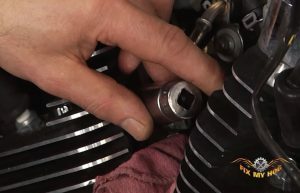 He’ll show you how to make sure the gasket stays in place and running the bolts down snug and then torquing to spec. He’s careful not to damage the chrome surfaces. Here’s an option to go from stock to a Roland Sands rocker box. We went with the Roland Sands Design Black-Ops Clarity rocker box installation.